This plant blooms at the same time the bees with long tongue make their appearance, probably because they are the most likely able to reach the nectar, housed in the high spurs, with their long appendix. 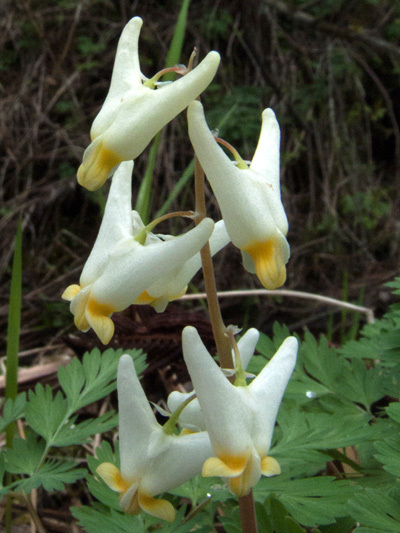 Other types of bees still manage to forage the Dutchman's breeches by spreading apart the two inner petals of the flower with their heads. Some insects will gather the nectar by force by piercing the two spurs and, doing so, commenting a double crime because they do not touch pollen and therefore do not contribute to the propagation of the plant. Flowering at mid-spring in rich woods, often seen with the Bloodroot.